Apex Cardiology (Inglewood) - Book Appointment Online! 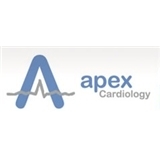 Apex Cardiology - Los Angeles cardiology staff are dedicated to improving the cardiovascular health of our community by focusing on the individual needs of each patient. As a result, we are continuously increasing our knowledge base and expanding our technology. The focus of every activity at Apex Cardiology is on quality care. Our patients will experience a level of personal attention that treats them as valued and invited guests, not only meeting but exceeding their expectations.